Who is your favorite woman in scripture? Why? When it comes to gender, are there particular passages of the Bible that are especially difficult for you? Which women do you wish the Bible described in greater detail? Which of these responses is most appealing to you? Which are least inviting? Why? 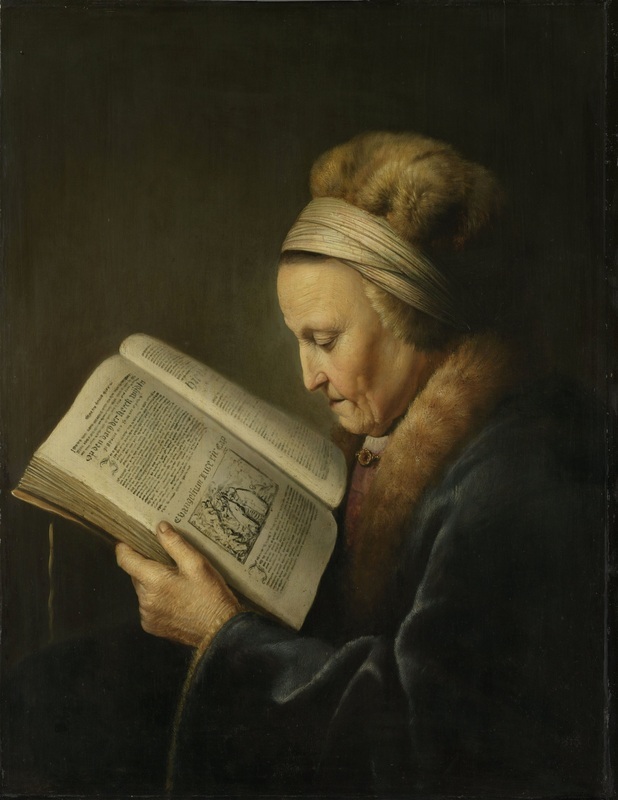 Above: Portrait of An Old Woman Reading [the Bible] by Gerrit Dou (formerly attributed to Rembrandt). Circa 1630-1635. "My first principle, which may also be called feminist philosophy, is that men and women are created equal, and it is hard for me to imagine how and why 'feminist' is such a provocative term" (Tikva Frymer-Kensky, Reading the Women of the Bible [New York: Schocken, 2002], xxvi). Have you seen others use the word "feminist" in different ways? What does the term mean to you? Do you consider yourself a feminist? Should all Christians consider themselves feminists? Evaluate this quote: “Even though the Bible failed to eradicate or even notice patriarchy, it created a vision of humanity that is gender neutral” (ibid., xvi). Meyers, Carol L. “Was Ancient Israel a Patriarchal Society?” Journal of Biblical Literature 133, 1 (Spring 2014): 8-27. JSTOR subscribers can click here. The Society of Biblical Literature is the flagship organization of biblical scholars. In 2013, Carol Meyers gave a presidential address that asked whether “patriarchy” is a useful term when describing biblical texts. Thought provoking and nuanced, this address has been published in the Journal of Biblical Literature. It merits careful attention. Click here for a companion to Chapters 7 & 8.